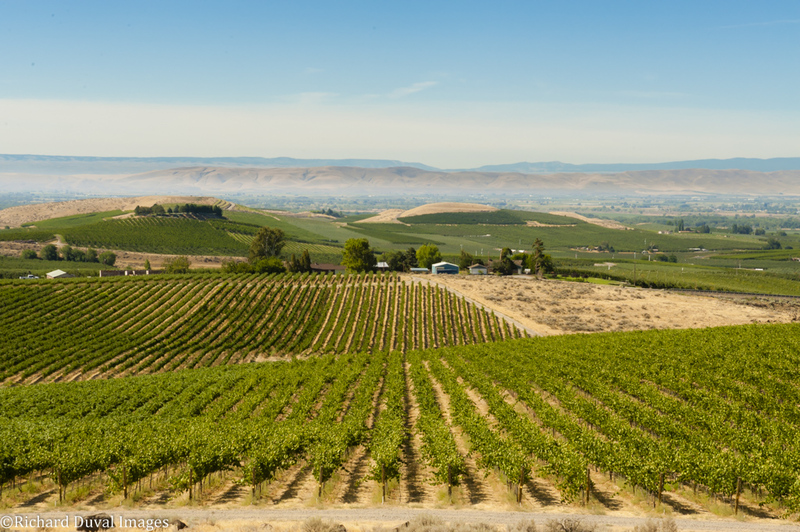 It appears that, at least for the moment, planting of many white grape varieties may have come close to peaking in Washington. For example, the state’s two main white grape varieties, Chardonnay and Riesling, showed only 2% acreage growth and 6% growth respectively between 2011 and 2017. In contrast, between 2006 and 2011 they grew 28% and 44%. White wine grape acreage in general increased only 4% between 2011 and 2017. In contrast, between 2006 and 2011, it grew by 38%. This is a significant slowdown. Three appellations accounted for the majority of the increase in Cabernet Sauvignon plantings since 2011 (see table at bottom). These are the Columbia Valley, the Horse Heaven Hills and the Wahluke Slope. In terms of the Columbia Valley, presumably this is defined by acreage not included in other appellations. Still, the increase in Cabernet plantings in this appellation seems a bit difficult to decipher. 2,450 acres of Cabernet Sauvignon have been planted within the Columbia Valley since 2011 but outside all other appellations? Where exactly are these vines being planted? Feel free to leave comments with thoughts below. Although overall red grape variety acreage was up 26% largely due to the increase in Cabernet Sauvignon, many red varieties decreased in acreage over the last seven years. These varieties included Barbera, Cabernet Franc, Grenache, Lemberger, Mourvèdre, Petit Verdot, Sangiovese, Tempranillo, and Zinfandel (see table from yesterday for the percentages). To some extent, this appears to show the fickle nature of farming (and consumers). For example, Grenache acreage increased 80% from 2006 to 2011. It then decreased 19% between 2011 and 2017. This type of pendulum was the case for a number of varieties. Outside of Cabernet Sauvignon, many red varieties showed a rather modest growth in acreage or decreases. This was not the case for Syrah, which went from 3,103 acres in 2011 to 4,572 acres in 2017, a 47% increase. This is a good sign for the future of this variety in the state. 5. What’s up with Pinot Noir? 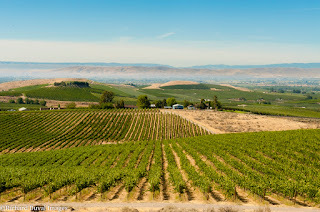 Perhaps the most surprising change from the 2011 acreage study was the significant increase in Pinot Noir plantings, from 307 acres in 2011 to 506 acres in 2017, a 65% increase. While the overall number is still fairly small it begs the question, where is all of this Pinot Noir going? I for one have seen no apparent increase in the number of Washington Pinot Noirs submitted for review in the last several years. Perhaps this represents growth in sparkling wine production? Again, feel free to comment with your thoughts below. I wrote yesterday about the substantial decrease in Chenin Blanc acreage in Washington. Of the 67 acres that remain, only 30 of those acres were planted prior to 1996 according to this survey. In 2011, there were 198 acres planted prior to 1991. That is a shocking (and sad) decrease in old vine acreage. Once the old vines are gone, they're gone for good. Do your part to save the Chenin by buying a bottle (or 12)! Does the count include vines planted on the Oregon side of the Columbia Valley? If so, I know there are some large Pinot Noir vineyards there that source some of the $16 and under Pinot Noirs labelled as "Oregon" bottlings. Where is Red Mountain AVA when it comes to Cabernet Sauvignon growth for the same years? Possibilities for new cab acreage within CV AVA but outside sub-AVAs (these are areas with big new vineyards) - northwest of Pasco on plateau above the White Bluffs, along Columbia R. just downstream of HHH, along Columbia R. just upstream of Ancient Lakes - however, it's hard to imagine that much new cab being planted in those places. Matt Wieland, great question. The document explicitly states that it does not include the Oregon sides of the Walla Walla valley or Columbia Gorge. However, it makes no mention of the Columbia Valley. I'll reach out and ask the authors. Anon, so in terms of growth, the Columbia Valley's Cabernet acreage grew 140% from 2011 to 2017. Horse Heaven Hills grew 90%, Wahluke Slope 94%, and Red Mountain 68%. K. Pogue, thanks much for the thoughts! Who bottles the old vine Chenin? L'ecole? Scott, indeed, it's largely L'Ecole. They make a little over 4,000 cases of the wine and it's consistently one of the top value bottles made in the state ($14). I suspect that if they weren't making Chenin the vines would be almost completely gone. You can also find old vine Chenin from Lobo Hills, Block Wines, Lauren Ashton, Orr Wines, Pacific Rim, Bookwalter, and Fielding Hills, though they are all much lower production. For me, the L'Ecole and Lobo Hills offerings are at the top of the list. I'll also add that W.T. Vintners makes a great bottle of Chenin from Stoneridge Vineyard. Not sure how old those vines are though. I know I'm three weeks late to this discussion, but we make a couple thousand cases of Old Vine Chenin Blanc (spread across three wines) each year.